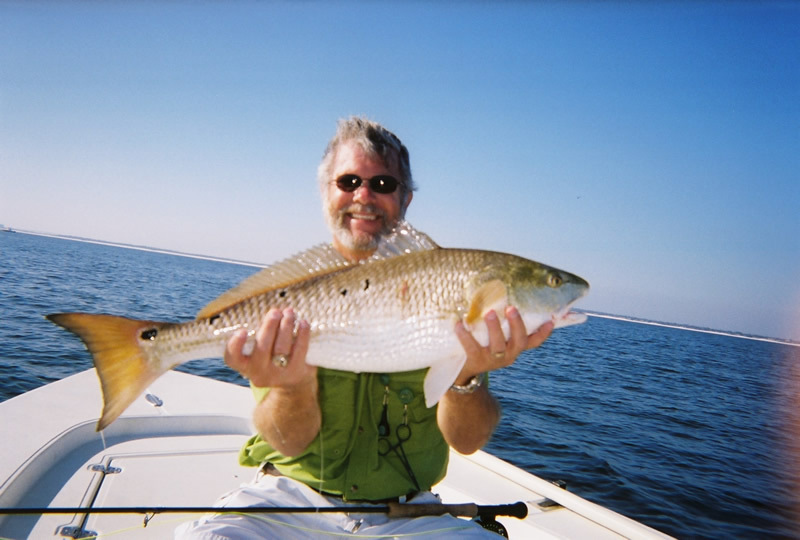 Fall 2007 arrived with water temperatures in the high 80's, huge schools of ladyfish and Spanish mackerel along the Gulf shoreline, and excellent night fishing for trout around the docks of Santa Rosa Sound. 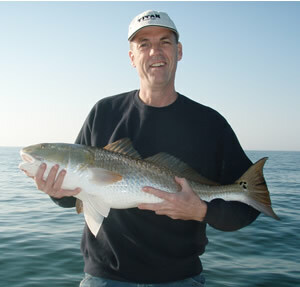 By November the water had cooled, and the main attraction became bull redfish surface-feeding on bay anchovies. Bluefish up to 6 pounds and pompano provided sight-fishing opportunities in the gulf, and the slot redfish became very active on the inside flats. Later, in December, the winter false albacore arrived in spades providing high octane thrills for both fly casters and light tackle anglers. Here are some photos from the fall season. 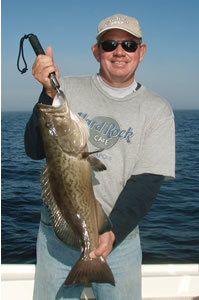 For photos from previous seasons, check out these additional galleries: Summer 2007, Spring 2007, Winter 2007, Fall 2006, Summer 2006, Spring 2006, Winter 2006, Spring 2005, Summer 2005, Fall 2005. Click on any of the small images below to see the full size photos. Use the back button on your browser to return to this page. 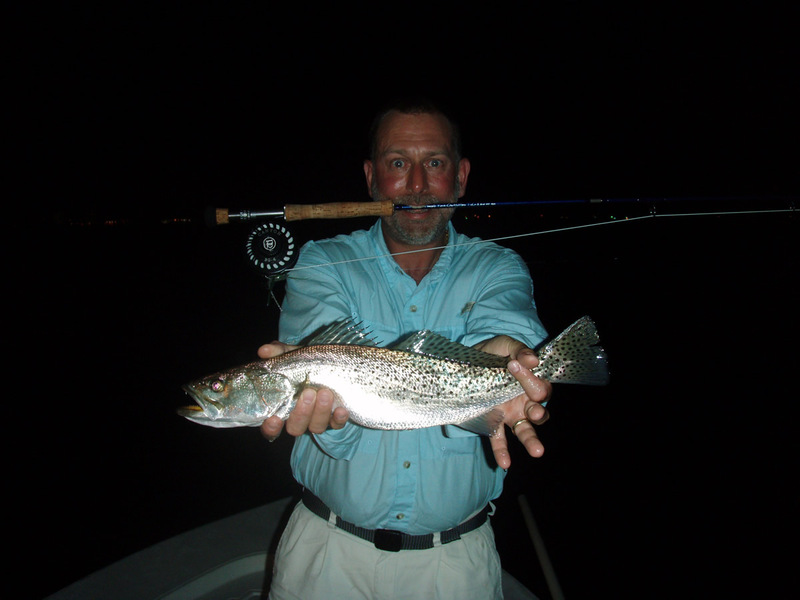 Stephen Larson of Lawrenceville, GA, got into some hot night action around the docks of Santa Rosa Sound on October 5. 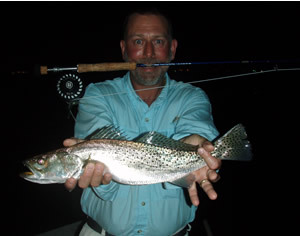 This is one of about thirty speckled trout caught on fly and released. 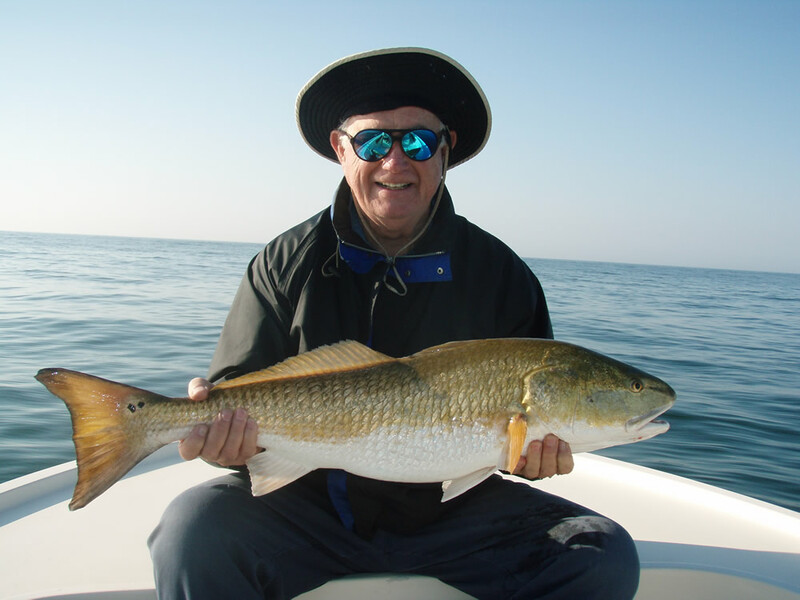 Here's a shot of Syl Goessling, Waterloo, IL, with a perfect 27 inch redfish, one of seven fish landed in the headwaters of Pensacola Bay on October 5. The optimum October conditions for pompano sight fishing are clear water, lots of sunshine, and a slight shorebreak...just enough to dislodge the sand fleas. In this photo Rocket Man from Ft Collins, CO, is enjoying just such an October day. 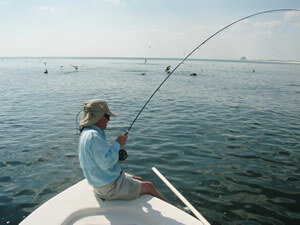 It's hard to take a break when fish are striking all around the boat. 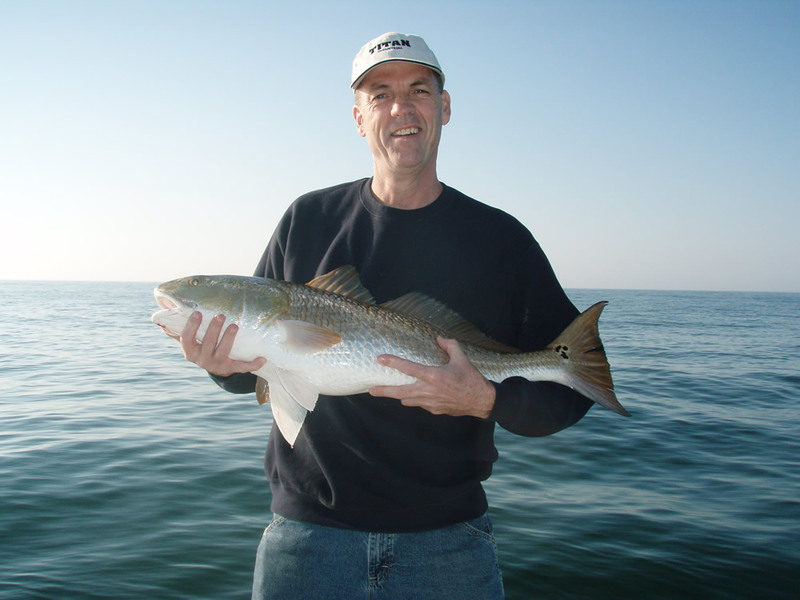 Ask Reb Stewart, Steinhatchee, FL, who found himself surrounded by ladyfish and Spanish mackerel on November 2. 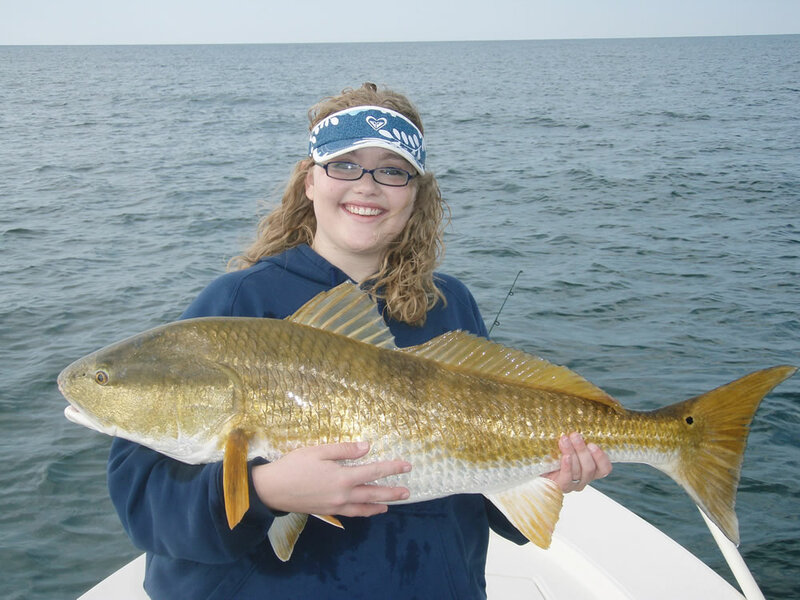 The Kerkhof family from Hilliard, OH, were onboard Nov. 5, the day the bull redfish began their fall surface-feeding ritual. 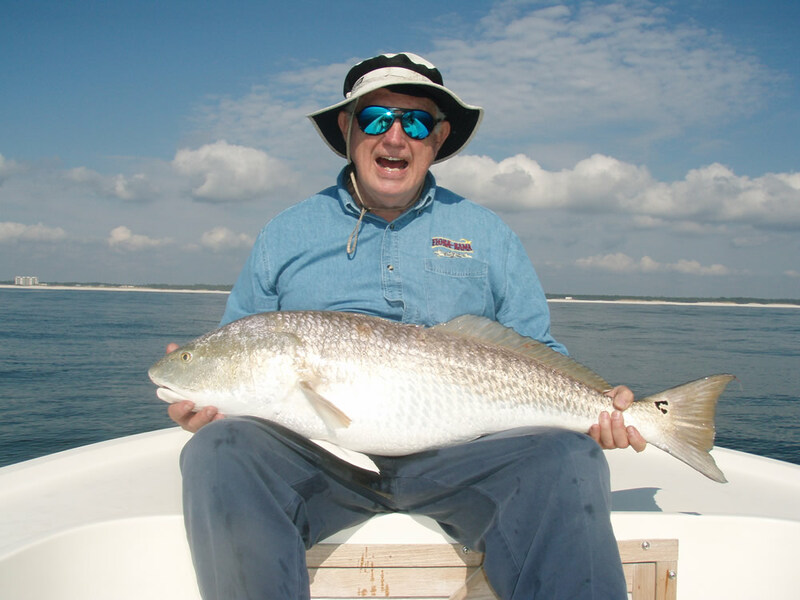 This is Lyman Kerkhof III with a beauty landed on fly and released. 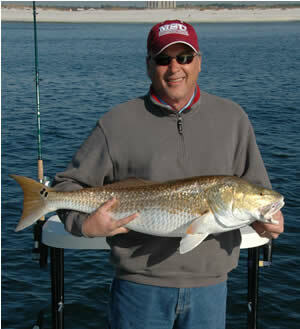 Not to be outdone by his son, here's Lyman Kerkhof Jr. with a fine entry in the family fishing rodeo. 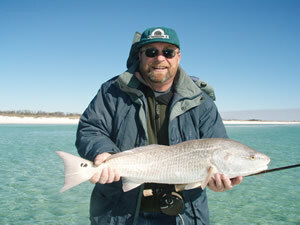 When the redfish action ended we staked out along the shore watching for bluefish and pompano. 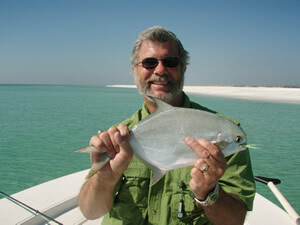 This pompano beat a school of bluefish to Lyman's Clouser minnow. Check out the water color. 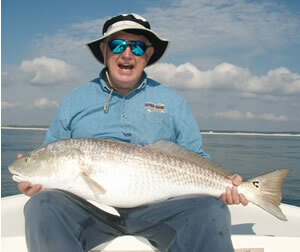 For the next week we had excellent early morning action on the big redfish. 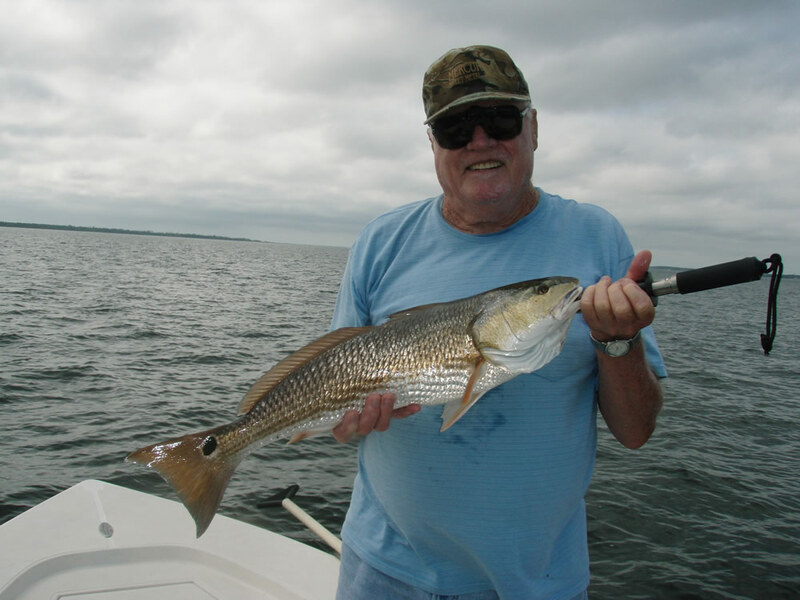 Bob Parker, Clarkesville, GA, got a good taste of it on November 8. 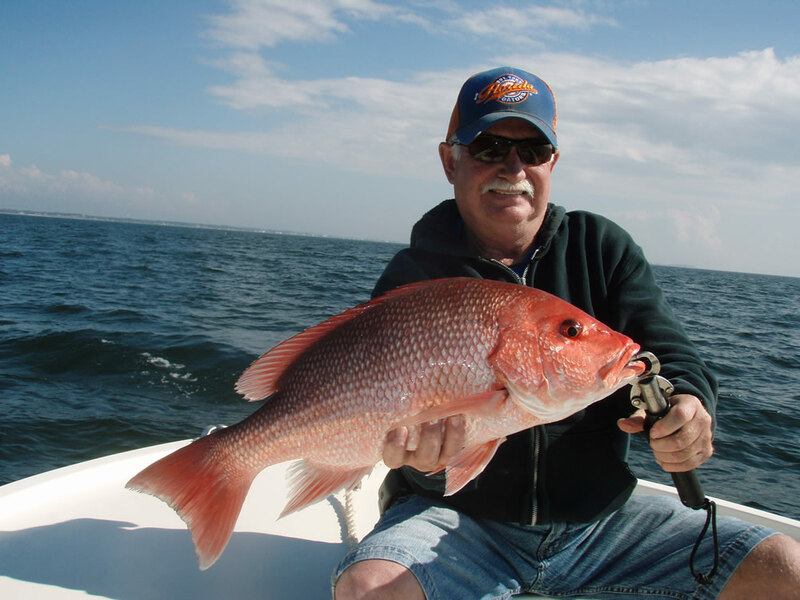 Lynn Scott and Rob Bray from Rogers, AR, got into the hottest action of the week for a couple hours on November 9. 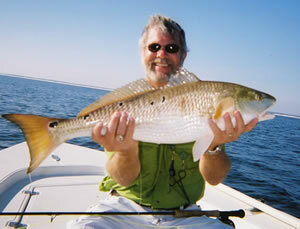 Here's a shot of Lynn with one of many redfish landed on jigs and top-water plugs. 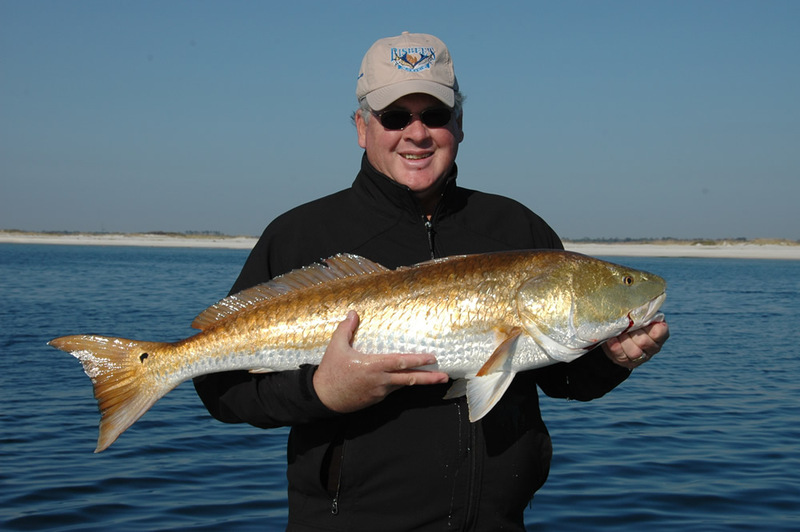 Rob Bray with a beautifully colored redfish. Colorado's Amy Hickman had her hands full of redfish on November 10. 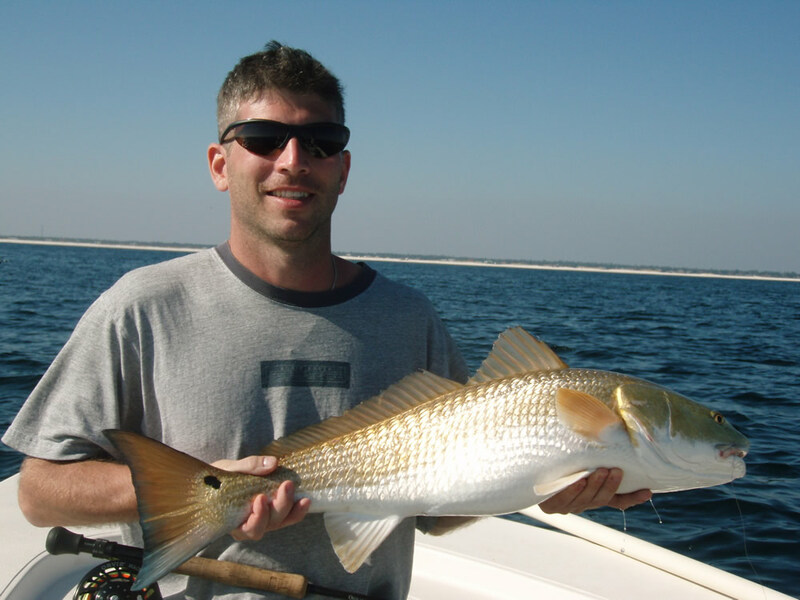 Amy's friend Kyle Mauger, New Castle, CO, caught redfish like this in the morning and then bluefish on top-water plugs in the afternoon. 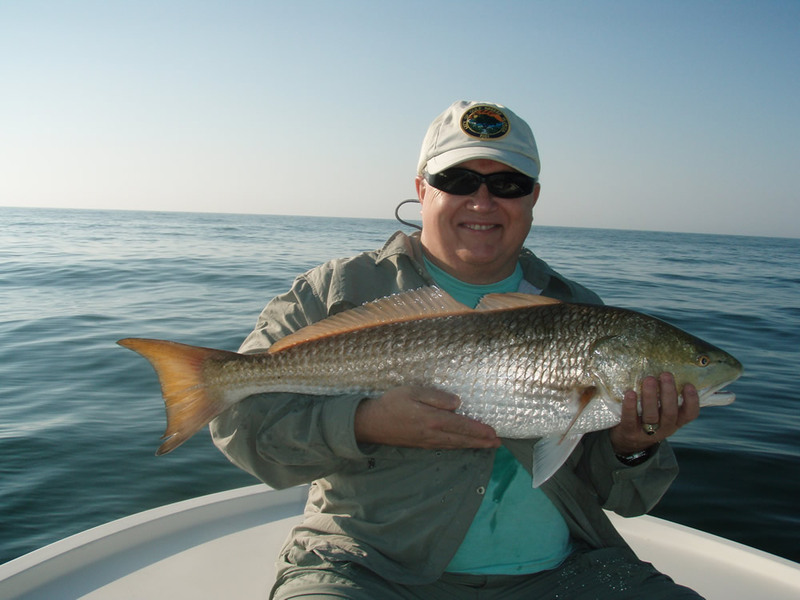 Ed Gray of Gulf Breeze, FL, and a rare spotless redfish caught and released on a spectacular November 14 morning. 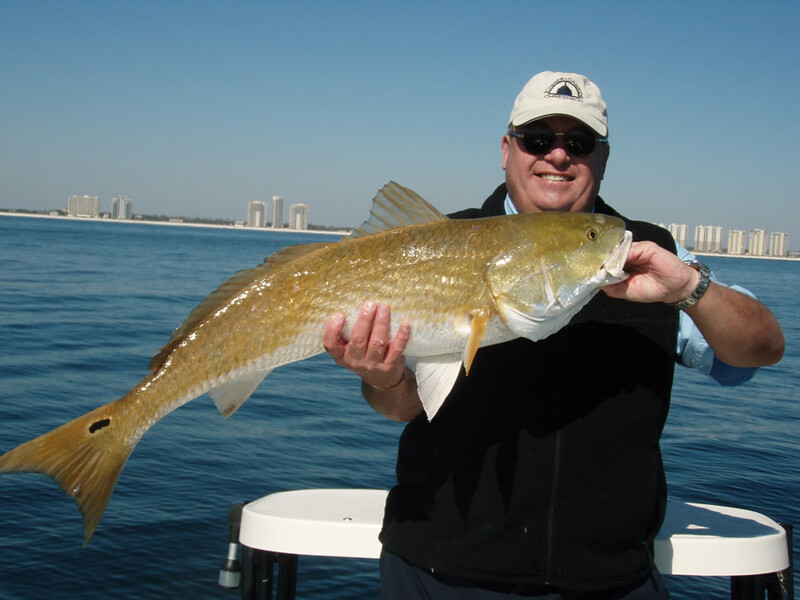 Buz Eddy of Gulf Breeze is the proud papa in this November 14 shot. 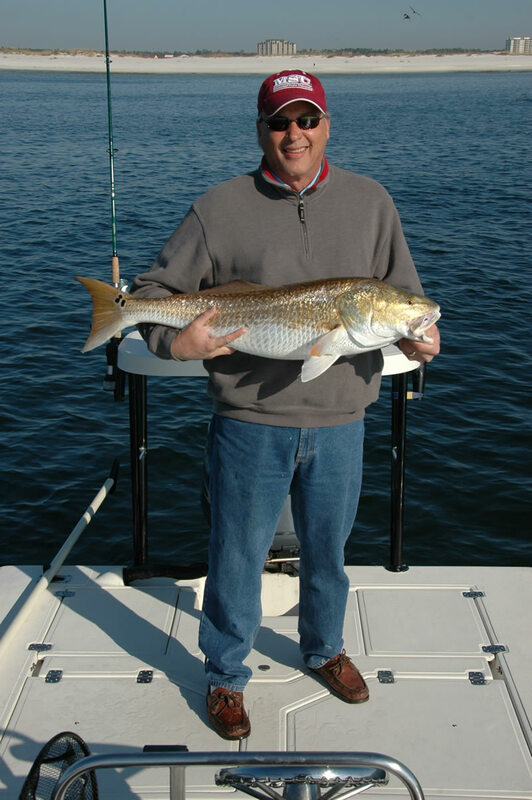 Lane Gilchrist, Mayor of Gulf Breeze, after a hard battle on Nov 14. Nice hat, Lane. A little later in the morning Lane landed the biggest fish of the day. All of our friends at the world famous Flora-Bama Lounge will be proud of this shot. 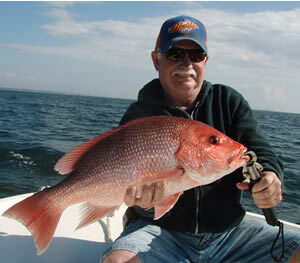 We were grouper fishing in Pensacola Bay November 20 when Herb Hamilton of Forest Park, GA, landed this red snapper. 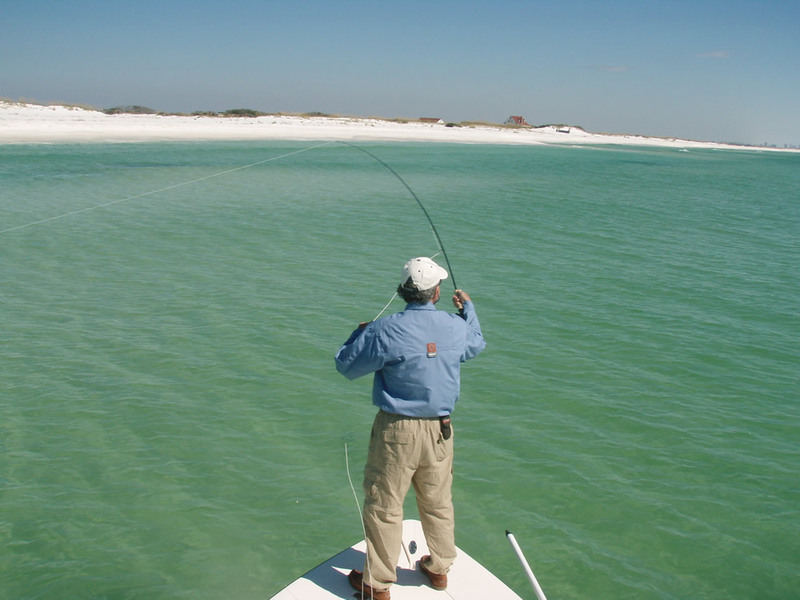 Hard to believe you can catch fish of this quality in just 30 feet of water. On a cloudy November 21 we were sight-fishing the inside flats when this slot redfish cruised by. 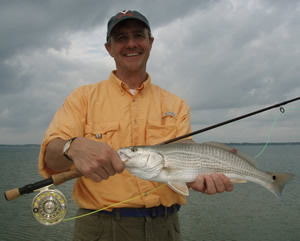 Wes Marshall, Springfield, VA, made a perfect cast, the fish ate the fly, and we got the photo to prove it. 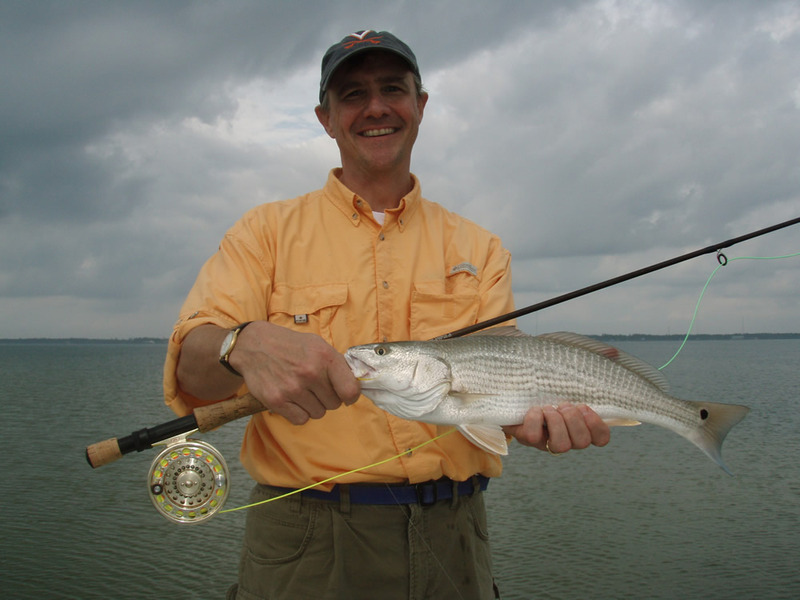 Check out the blue in this fish's tail. 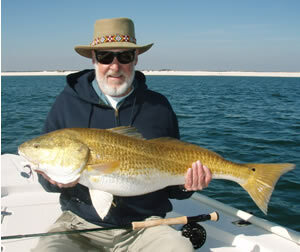 What a way to break in a new 10 wt! 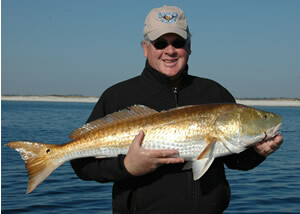 Pensacola's Jerry Aldridge and a fat twenty-five pounder landed Nov 29 on his own "Yak Attack" Clouser minnow. 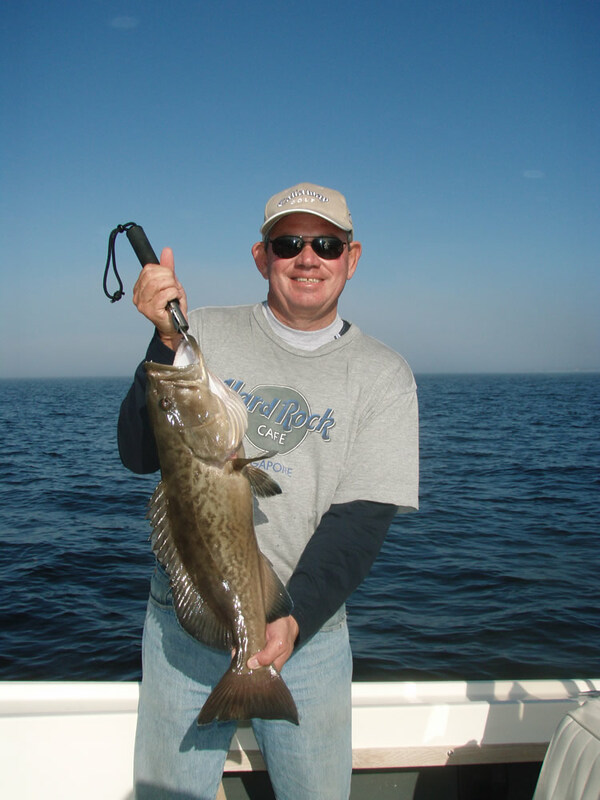 Here's Duane Brubaker from Pensacola with a fine winter grouper caught December 12 in Pensacola Bay. 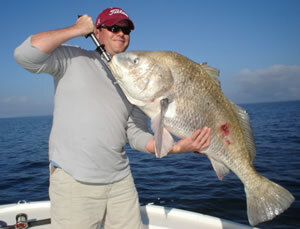 This fish measured 25 1/2 inches and was slated for the grill. 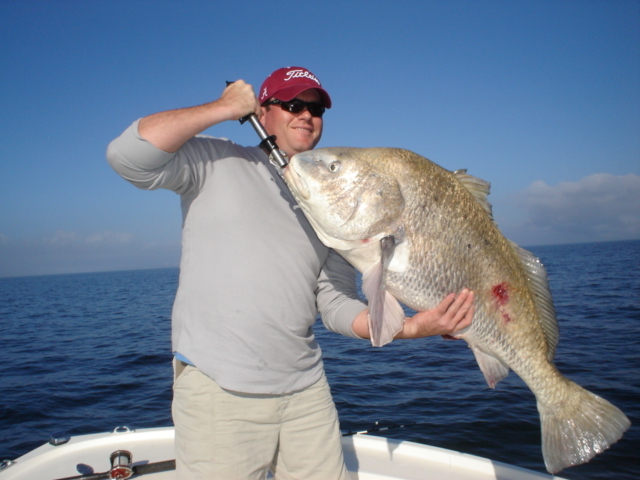 The catch of the day on December 12 belonged to Jason Quick who boated the all time boat record black drum. 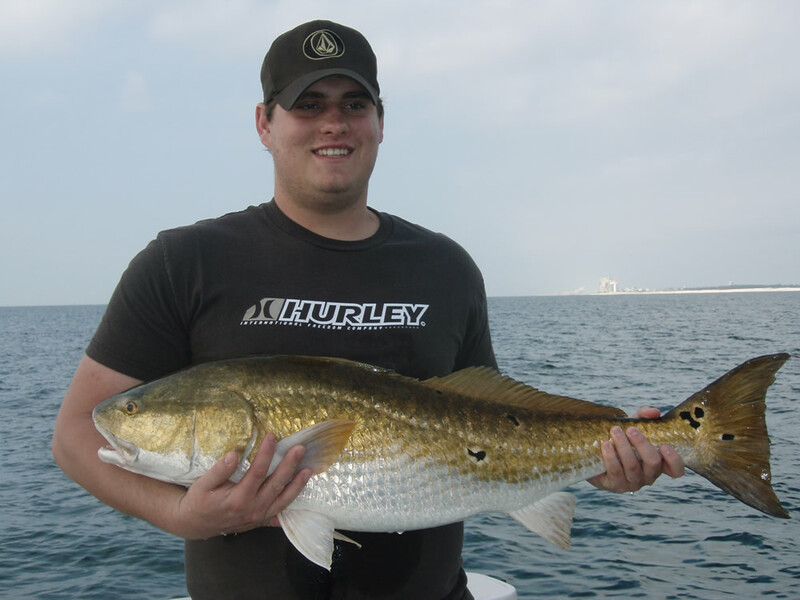 This fish bottomed-out a 30 pound bogagrip in a heartbeat, and we estimated the weight at 40 pounds. The red mark on the fish's side was not from a gaff; we released it unharmed. 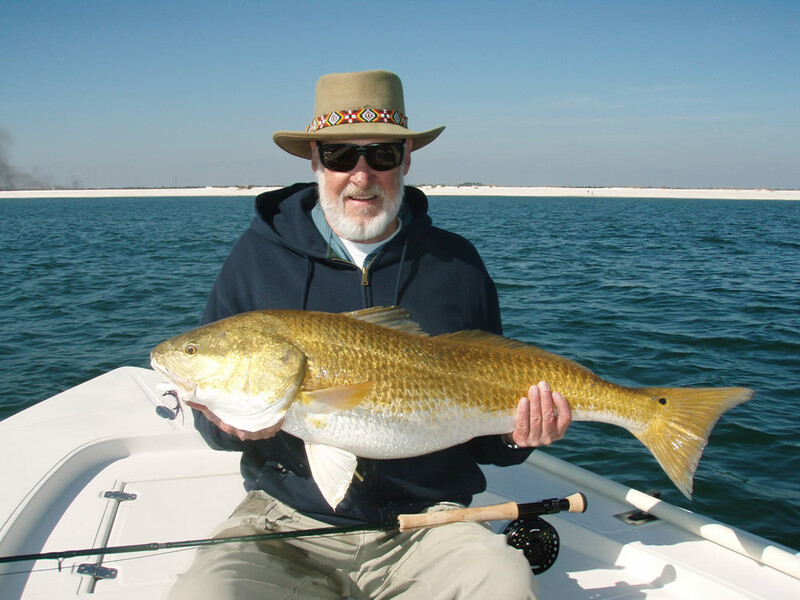 We were staked out close to shore on December 18 when a school of about twenty redfish appeared on the sandbar slowly moving toward the boat. 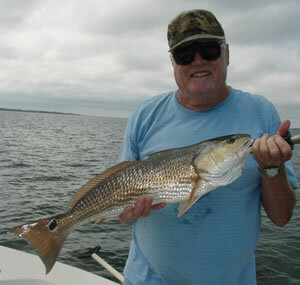 Tom Finkle from Lisbon Falls, Maine, waited patiently until the fish were in range and dropped the fly ten feet in front of the school. How sweet it is.